Nothing says summer like running through the sprinkler. It's a childhood memory that pretty much everyone has experienced at least once. I know I have fond memories of it from my childhood, and have already had both of my kids in our backyard in the sprinkler. Of course now days they have so many new and very cool I might add versions of sprinklers. For instance the Hydro Swirl Spinning Sprinkler that I recently got doesn't just go back and forth like the traditional sprinklers. This cool sprinkler swirls the water around in all directions so the water shoots up and around at the same time. My daughter and her little friends really like this one. My son on the other-hand was more interested in the Hurricane Water Balls. I'm sure you can guess why...a teenage boy and a ball filled with water he can throw at the girls, yep that's why! Hurricane Reusable Water Balls - Simply dip soft shelled balls into water to fill and splash, then reuse over and over again. With one quick, light squeeze, these durable balls will fill and seal themselves. They can even be reused up to 1,000 splashes. 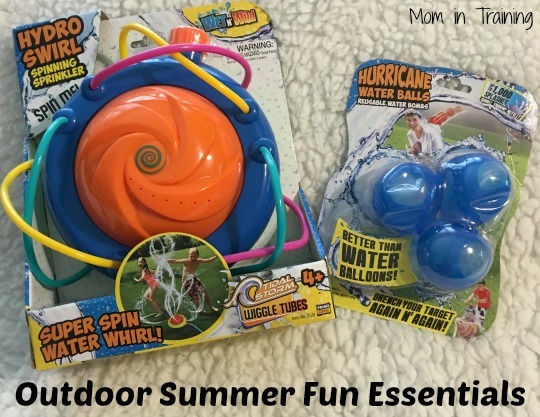 Hydro Swirl Spinning Sprinkler - For a new kind of twist on sprinkler fun, the Hydro Spinning Sprinkler features a hydro powered spinning dome for children to experience splashing from every direction. And of course every summer vacation isn't complete without at least one trip to the beach (or a nearby park). I know I can remember going to a specific beach every summer with my whole family. And I can remember always having a plastic bag full of sand toys. Oh how I wish I had this cool basket instead! 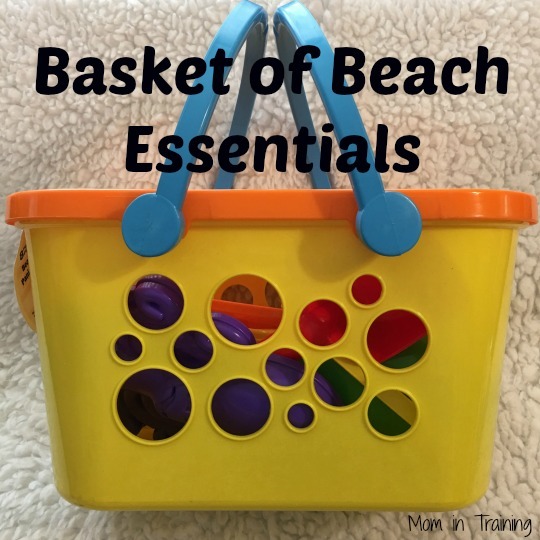 The Basket of Beach Essentials comes complete with everything you need to build a sand castle and make cool molds out of sand. Plus everything fits conveniently inside for easy towing and storage, every mother's dream! Basket of Beach Essentials - Thanks to American Plastic Toys, all the beach essentials can be packed into this portable basket! The basket comes with sandcastle building tools such as buckets, a shovel, and tropical fish molds. The lid can also be used to sift through sand. The portable nature of the basket makes for quick clean up before heading home for the day.